So as you can probably tell, we’re big into the pumpkin stuff right now! 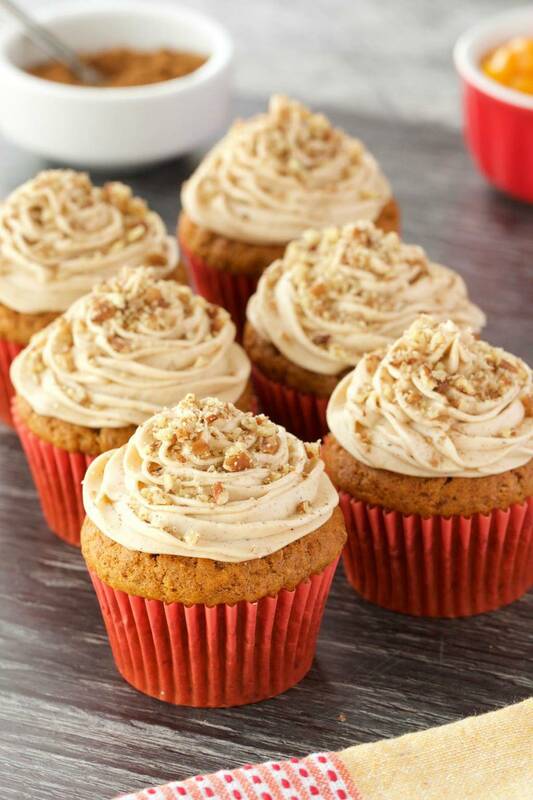 And since I made a vegan pumpkin cake, I thought why not vegan pumpkin cupcakes too! And so happy I did. 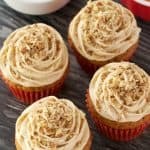 These pumpkin cupcakes are super awesome, they’re easy, crazy delicious, and topped with a pumpkin spice frosting, a sprinkle of pumpkin pie spice and crushed pecans! 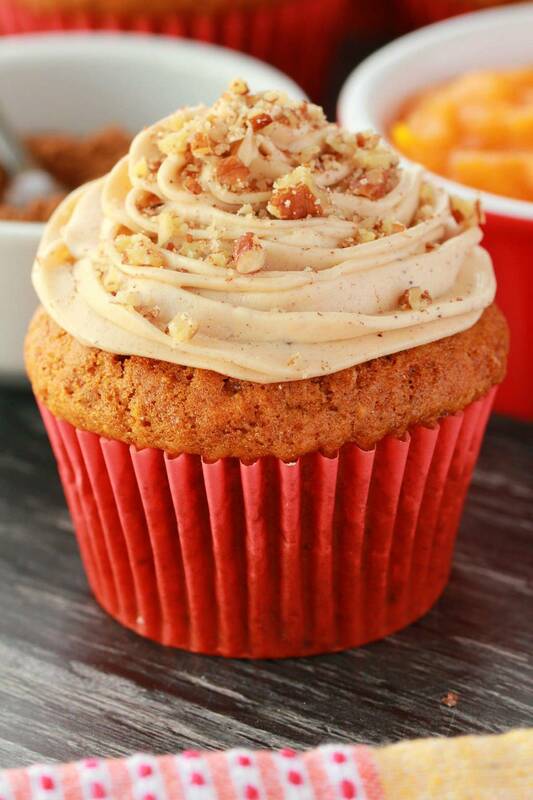 The pairing of pecans with pumpkin things is a winner by the way. 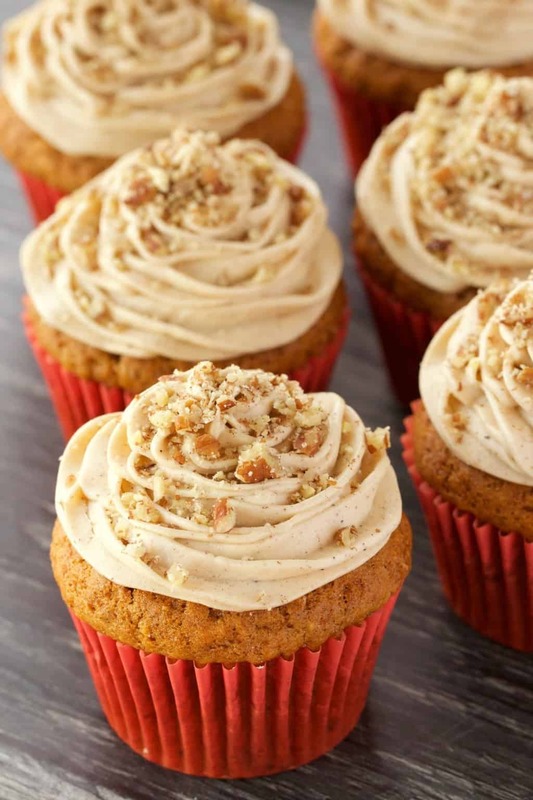 Some nuts just go best with things, like walnuts go perfectly with banana bread muffins and carrot cake cupcakes, pecans go best with pumkin cupcakes and vegan pumpkin muffins. 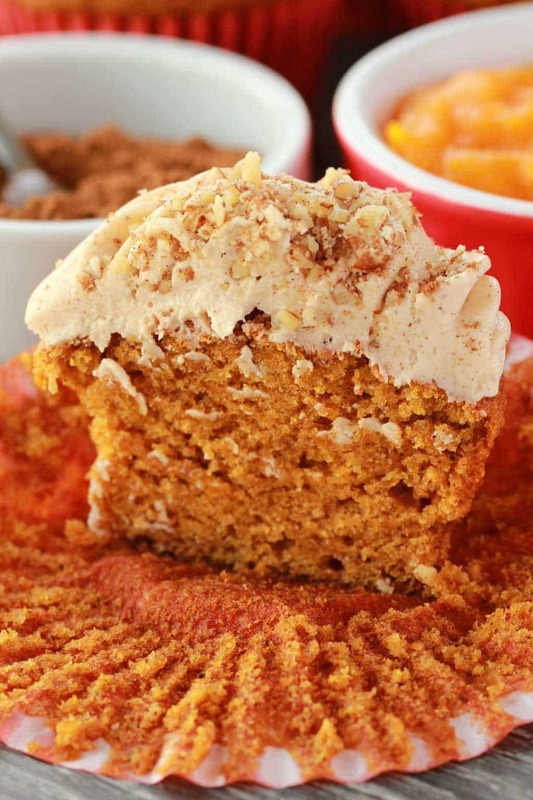 Pumpkin spice frosting is too easy, it’s just a case of adding some pumpkin pie spice to your frosting. 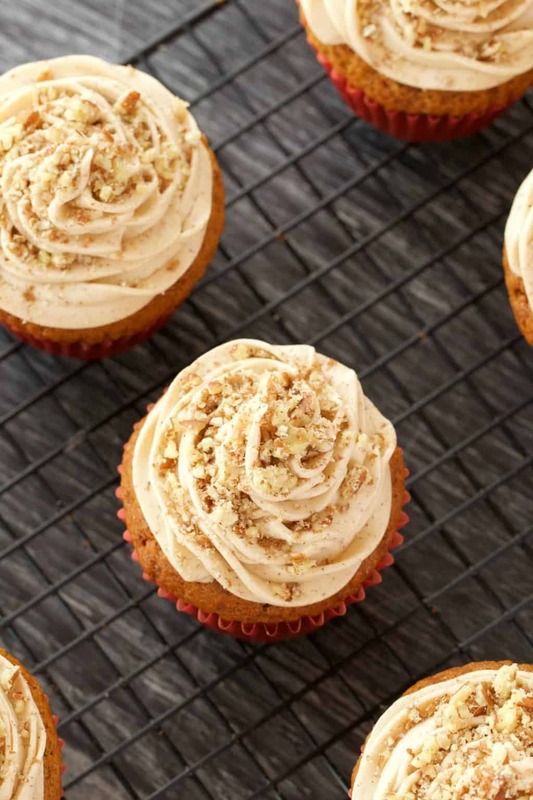 It creates a beautiful flavor and the velvety smooth frosting pipes beautifully onto these cupcakes. 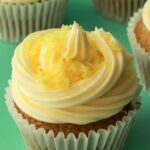 These cupcakes rise very high! They’re beautifully tall. 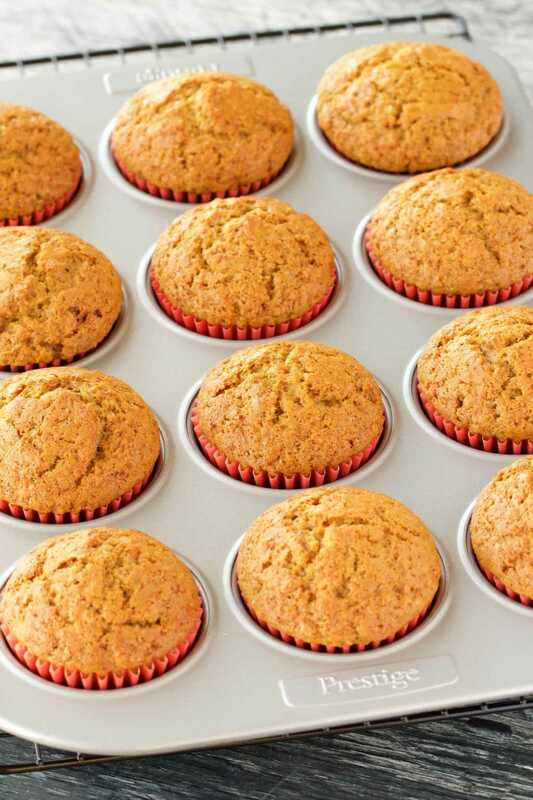 So for this reason I prefer to use muffin liners rather than cupcake liners because they tend to be higher on the sides and support these extra tall cupcakes best. 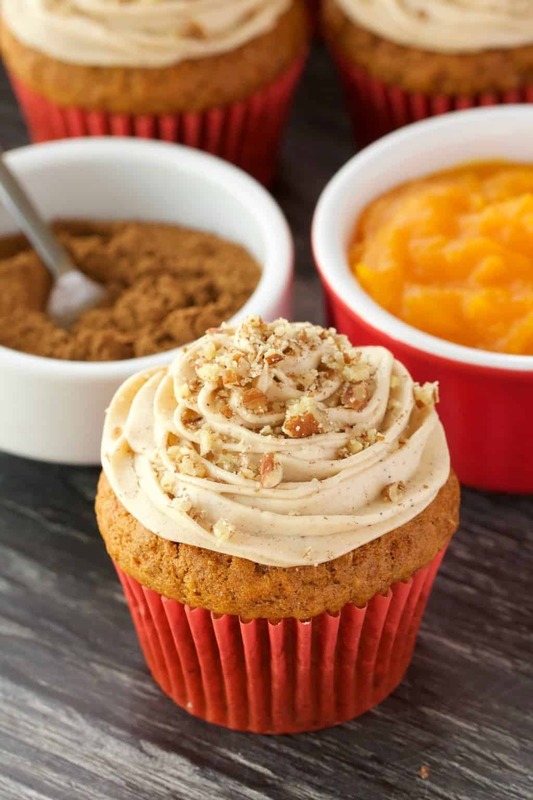 You can make your own pumpkin pie spice to use in this recipe! Or use a store-bought option, but if you have any difficulty buying it where you are, then just use our recipe for a homemade version. Another tip would be to weigh your pumpkin purée and your flour for the best, most accurate results. You can use canned or fresh pumpkin purée. 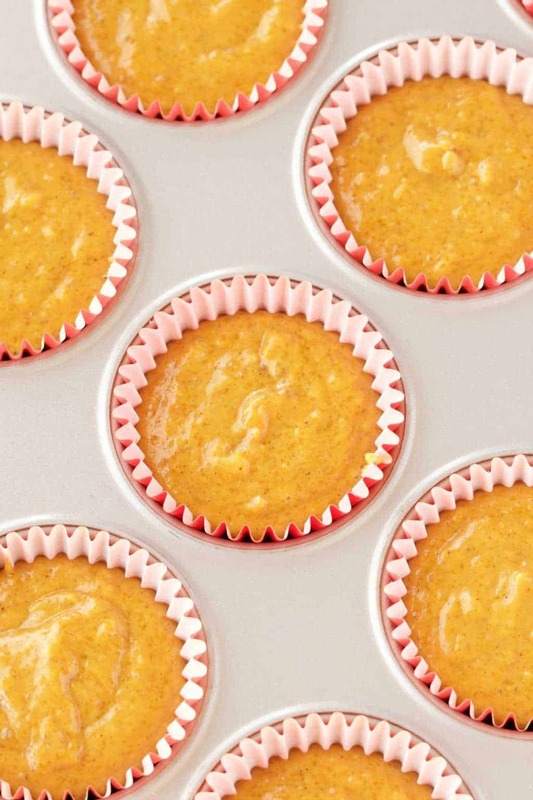 Canned is easiest, but if you want to use fresh pumpkin purée, that works great too! To make your own you just bake peeled and cubed pumpkin in the oven for around 30 minutes at 350°F (I’ve also done it at 390°F). Don’t add any oil or spices, just bake it plain. When it’s soft and cooked, then either mash it with a potato masher or put it into the food processor and purée it. If it’s a little ‘wet’ then stand it in a strainer so any excess water can drain off. Keep them covered at room temperature where they will stay fresh for a few days or covered in the fridge where they will last for up to a week. 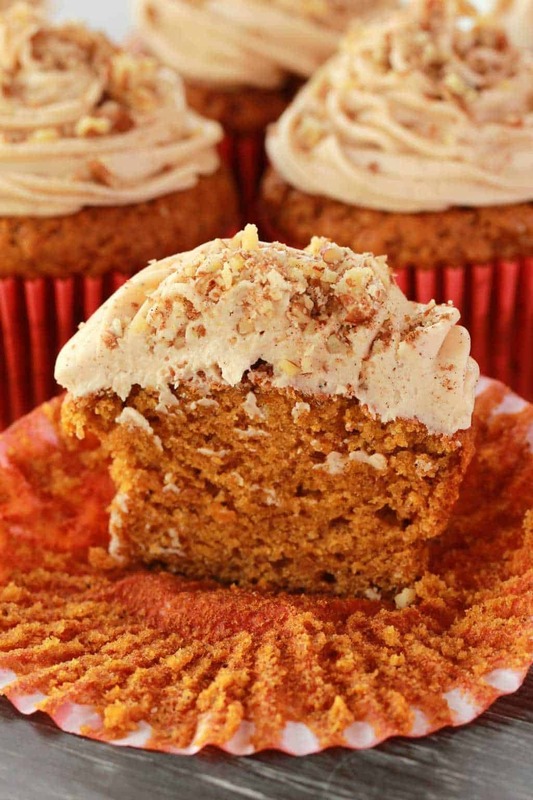 Thoughts on these beautiful vegan pumpkin cupcakes? Post them in the comments. Always love to hear from you. And please rate the recipe too, this is really so helpful. And soooo many more! Just type ‘cupcakes’ into our search bar to see what we’ve got. Sign up to our email list – you’ll get a free recipe ebook (with 10-recipes) and you’ll be the first to know of any new recipes posted to the blog. 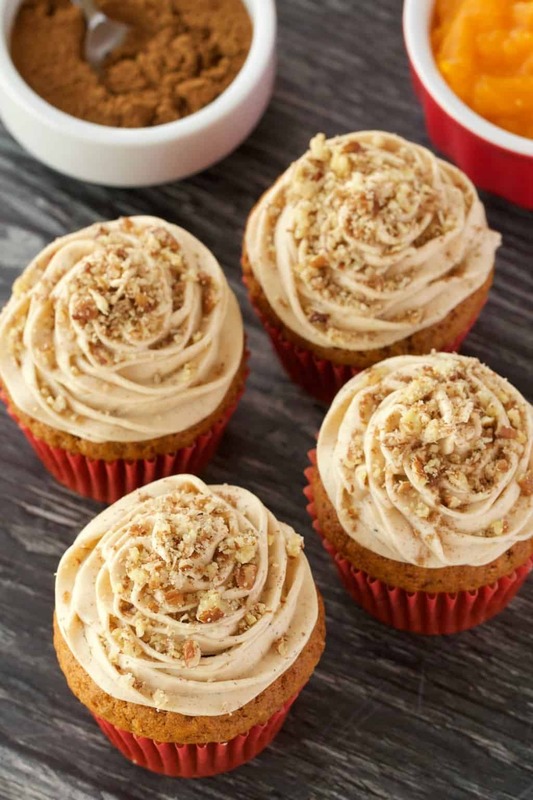 Rich, moist and tall vegan pumpkin cupcakes topped with a velvety pumpkin spice frosting and crushed pecans. Beautifully colorful and fall inspired. 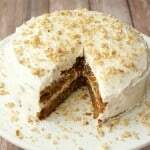 *Recipe adapted from our Vegan Pumpkin Cake. 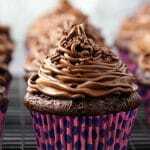 *Nutrition information is based on 1 cupcake (of 12) with frosting. 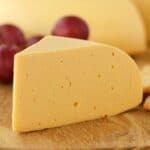 I recently found your blog by doing a search on dairy free foods. I signed up for your newsletter and this popped in my email account today! My son wanted me to make it immediately! I have a question though, do you think it would be okay to use a regular chicken egg in this? I ask because my son isn’t actually vegan, but he is dairy free, as he has a severe allergies to dairy. If not, I’ll make it exactly as the recipe calls. 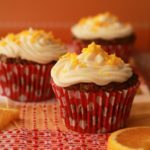 Thank you for your time and posting this recipe! My son is crazy for pumpkin! Hi Tammy! In theory it should be fine! 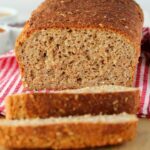 A Flax egg is a 1:1 replacement for a chicken egg in cakes – however I haven’t tested it that way as I have only made this as vegan. All the best! I made the cupcakes and frosting and it was so delicious! Thank you so much for sharing the recipe. Also, I did use an egg, but it was a lot thicker than what your photos show yours came out like, but the taste was divine! I just realized that I used my real name. OOPS. I don’t do that online. I go by Tammy Chrzan on the net. I’m sorry for the confusion! 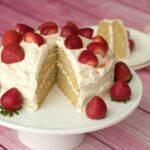 If it’s okay, I would like to add your recipe to my blog. I will give you credit. The batter is supposed to be thick. 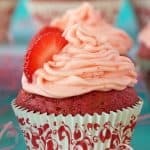 I haven’t needed to add extra liquid, but if you did and your end result cupcakes weren’t overly moist then you probably got it exactly right! Delicious!!!! I used Neat Egg, followed recipe exactly. 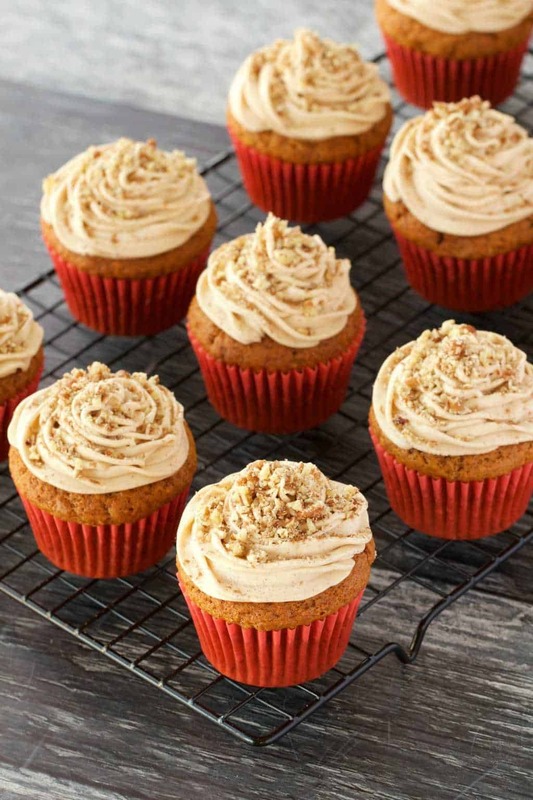 Except sprinkled pumpkin spice on top of frosting since I wasn’t using pecans due to nut allergy. 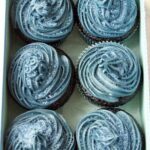 These are really moist and the frosting is perfect. I had to bake them 5 extra minutes to total 30 minutes. 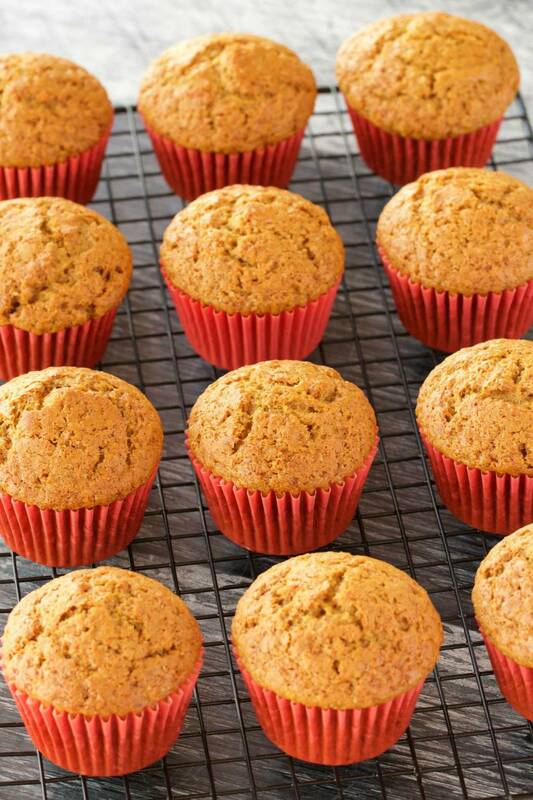 They are tall, put heaping 1/4 cup in each muffin cup. Had a little dough left over and some icing left over. My house smells amazing! Learned how to make pumpkin pie spice easily on another recipe. Didn’t have ginger so I used 3 drops ginger essential oil which is digestible to cake mixture.. I’m giving them to my students after their Midterm exam tomorrow. Do you think these would freeze well? Thanks! I made double batch, cake batter fit in my largest mixing bowl and I mixed it by hand. Only made single batches of frosting, no way 6 cups of confectioners sugar wouldn’t fly out of my stand up mixer. 🤣 I’ve been vegetarian for many years, converted to vegan l1 yr and half ago, still honing my vegan baking thank you so much for this recipe ! 😀 I’m going to make more and freeze for holidays. Hi! Would shortening work for the frosting? I usually use Spectrum Organic non-hydrogenated. 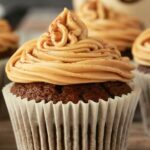 For some reason my vegan butter usually doesn’t hold up well on the cupcakes, even though I use Earth Balance, which it seems like everyone else does! This is more of a question rather than a comment. I’m not vegan, but I bake for groups of people, including vegans, some are stricter than others when it comes to sugar. I was wondering if for the brown sugar you used was the usual vegan brown sugar or the brown sugar that non vegans use, like the regular domino sugar? We don’t have a sugar issue in the country we’re in, our sugar is totally vegan and has been for 30 years. I believe it is just in the USA where some sugar companies still use outdated methods to refine the sugar. In that case of course it would be best to find a company that is more up to date in their methods, but that is of course a personal choice and not one that we would dictate to anyone. I just made these and they were so easy and so delicious!! I was worried at first about the thickness of the batter (as it originally felt like cookie dough), but it came together nicely after adding the water/flax. I added some chocolate chips into this as well. Yum! Do you mean a little dense? If so, be sure to weigh the flour and the pumpkin next time, it could be a case of a little too much flour or too little pumpkin. These cupcakes were a big hit with my company and my 2 little granddaughters!